A fracture is a broken bone, and may be caused by accidents, injuries, overuse, bone disorders and osteoporosis. Symptoms of a fracture include misshapen limbs, swelling, bleeding, intense pain and difficulty moving the affected limb. In the US, nearly 7.9 million fractures happen every year, with an estimated treatment cost of $70 billion. If a fracture punctures the skin, it is known as an open compound fracture, and can lead to an infection. A stable fractureis one wherein the broken bone pieces line up easily. A transverse fracture has a horizontal fracture line, while an oblique fracture has an angled fracture pattern. Finally, a comminuted fracture consists of shattered bone pieces. A fracture requires immediate medical assistance. A bone scan or X-ray examination is required to diagnose a fracture. A fracture can be treated with a cast or splint. Surgery to put the bones back in place may be necessary in serious cases. Fractures tend to take weeks to months to heal. The nature of the fracture and the patient’s compliance with recovery measures play a great role in the healing process. Physical therapy exercises can help restore muscle strength following a long recovery. 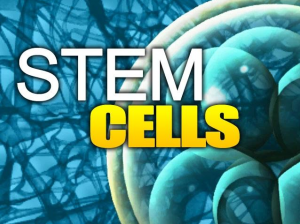 Stem cells are immature cells present in the body that have the capability to undergo differentiation to form different types of cells, such as bone, blood, tendon, cartilage, ligament, etc. Research and clinical study results show that stem cell injection at the site of injury can enhance tissue repair and regeneration. A recent study showed that the transplantation of stem cells helped heal bone fractures in an animal model. The lead researcher, Anna Spagnoli MD, presented the study results at the Endocrine Society’s 93rd Annual Meeting in Boston, Massachusetts. According to their findings, stem cells enriched with insulin-like growth factor (IGF-1) led to superior fracture-healing. In Spagnoli’s study, a knockout mouse model that is incapable of healing fractures was evaluated for bone repair following the administration of mesenchymal stem cells expressing IGF-I. These cells were transplanted at the site of tibia fracture in these mice. The stem cells along with IGF-1, a regenerative hormone, led to fracture healing in the knockout mice—an exciting finding in the area of stem cell therapy. Between 10 – 20 % of bone fractures do not heal, and these types of fractures are known as non-union fractures. It is reported that as many as 600,000 individuals in the US suffer from a deficiency of fracture healing. Non-union fractures are common in children with brittle bone disease, or osteogenesis imperfect, and in individuals with osteoporosis. Side effects of non-union fractures include bone infection, long-term disability and prolonged hospitalization. In this regard, the results of the aforementioned study hold promise for patients suffering from non-union fractures. Another study recently demonstrated that a subset of stem cells expressing CD34+ is capable of regenerating broken bones. As part of a Phase I/II clinical study, researchers led by Tomoyuki Matsumoto MD and Ryosuke Kuroda MD, found that G-CSF-mobilized CD34+cells derived from the patient was successful in repairing non-healing fractures in patients. On average the healing time was 16.4 weeks following stem cell therapy. Moreover, the treatment was well-tolerated in all of the 7 patients in this study. Watson L, Elliman SJ, Coleman CM. From isolation to implantation: a concise review of mesenchymal stem cell therapy in bone fracture repair. Stem Cell Res Ther. 2014;5(2):51. Liebergall M, Schroeder J, Mosheiff R, et al. Stem Cell–based Therapy for Prevention of Delayed Fracture Union: A Randomized and Prospective Preliminary Study. Mol Ther. 2013;21(8):1631-1638. Granero-Molto F, Weis JA, Miga MI, Landis B, O’Rear L, Longobardi L, Jansen ED, Mortlock DP, Spagnoli A. Regenerative Effects of Transplanted Mesenchymal Stem Cells in Fracture Healing.Stem Cells. 2009 Apr 23;27(8):1887-1898. Kuroda R, Matsumoto T, Niikura T, et al. Local Transplantation of Granulocyte Colony Stimulating Factor-Mobilized CD34+ Cells for Patients With Femoral and Tibial Nonunion: Pilot Clinical Trial. Stem Cells Transl Med. 2014;3(1):128-134. CONTACT R3 STEM CELL CLINICS TO FIND OUT IF STEM CELL THERAPY WOULD BE BENEFICIAL FOR YOUR FRACTURE OR SOFT TISSUE INJURY. WE WILL HELP YOU FIND AN R3 STEM CELL CENTER OF EXCELLENCE NEAR YOU – (844) GET STEM!